Has the day of the e-book finally arrived. There are signs that the answer is a definitive yes. Though what the long term impact o the e-book will be is still not certain. The good news has come from several quarters. Amazon’s launch of Kindle has been successful. Though Amazon has not released unit sales of the Kindle, the Silicon Alley Insider reports that some analysts estimate monthly volumes are running at 48,000 units and they could go as high as 72,000 per month by yearend. As one mesaure of the uptake of e-books on the Kindle, Amazon has indicated that for titles available in both print and e-book form, e-book sales are running at about 12% of print sales. In another piece of positive e-book news, Sony has announced it will switch its Reader to the International Digital Publishing Forum’s (IDPF) EPUB standard. This gives a significant boost to the beleagured format and could eventually put pressure on Amazon to abandon the proprietary format of the Kindle. E-book sales figures are also growing smartly, though they still represent a small fraction of print sales. 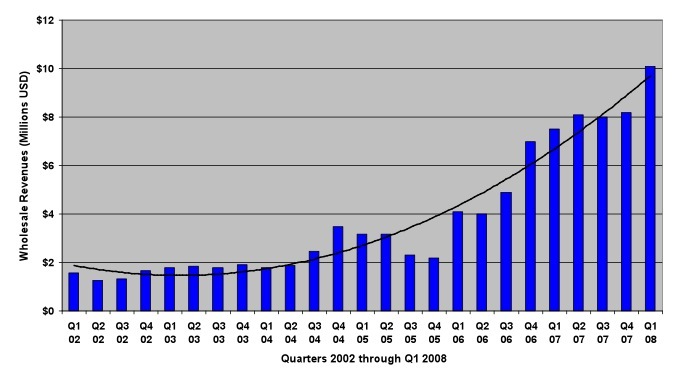 The latest e-book wholesale revenue figures for the US, reported by the IDPF, show sales on track to reach about $40 million in 2008. Worldwide e-book sales figures are also growing rapidly. Ebooks Corp. expects the world market to reach $220 million this year and could be $3-5 billion in the next 5 years. Macsimum News has specultedtht Apple may be coming out with an e-book reader, perhaps based on an enhanced iPod with a larger screen or a revived version of the iBook. Serve as a testing platform for a new title to determine whether a publisher should invest in a print version. This is already occuring in some areas o the publihsing world – e.g. romance and science fiction. If sales of the e-book version pass a designated trigger point, a print version of the book is offered. Provide an inexpensive launching platform for new authors who would otherwise not be able to get their book published in a print format. Become the format o choice for publishers in fields where content changes rapidly – e.g. books related to computer technology. Act as a viral marketing teaser. E-books may serve as an excellent way to build interest in the print edition. Not everyone will in the industry will welcome a robust market for the e-book. In the long term, perhaps the group most susceptible to the growing market for e-books will be distributors and wholesales o print books. Digital distribution of more works will reduce their revenues and importance unless they are able to reinvent themselves. So, I guess the point I’m trying to make is, unlike the music business the relationship customers have with the printed book is still quite strong and have been meeting the experience expectation for hundreds of years. And I don’t say this because I’m overly sentimental traditionalist. But I do think it’s an important time to remind ourselves that the printed book still provides an excellent user experience. And this is a real strength that only enhances our position in a digital age. But for now, the creators and purveyors of e-books can just be present in the moment and enjoy their summer of love. This entry was posted in author tools, book marketing, open publishing, publishing strategy, publishing technology, readership strategies and tagged Amazon, e-book, EPUB standard, Internaitonal Digital Publishing Forum, Kindle, Sony Reader. Bookmark the permalink. Thanks for the mention. And by the way, I am a big supporter of ebooks. 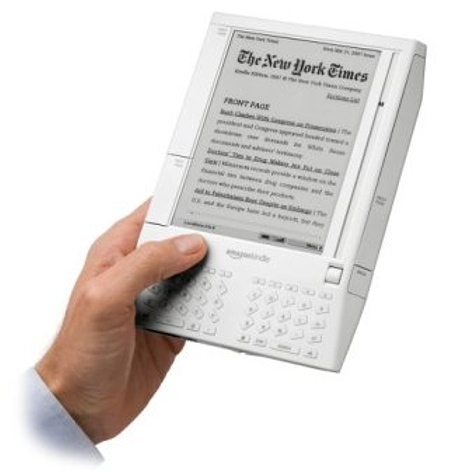 I hope someday we will get the “ipod” of ebook readers for which we can supply content. Could you provide me with the source that would confirm Ebooks Corp. expectations? That’d help me with my thesis.